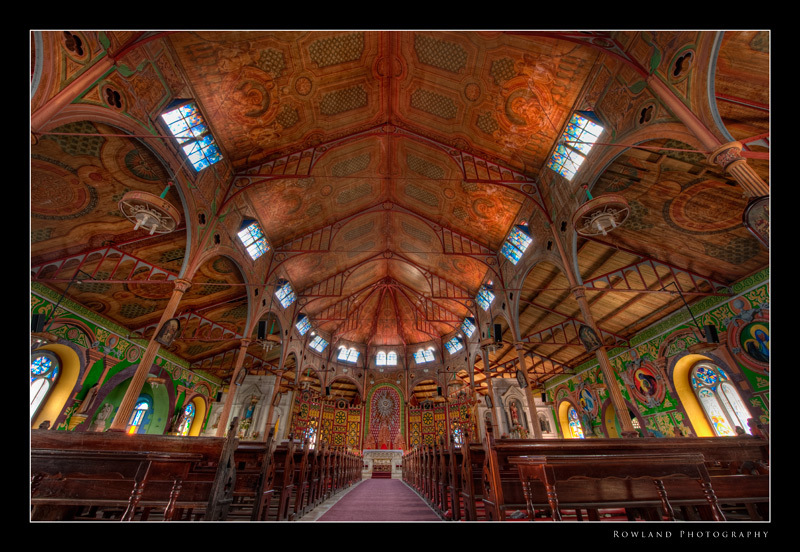 A quick 5 frame HDR to capture the interior of the Cathedral of the Immaculate Conception located in the city of Castries in St. Lucia. You enter through massive wood doors and are treated to a very old-time Cathedral feel inside. The woodwork and statues are stunning, and you can’t help but tip-toe out of respect of those that erected such an amazing place. I am enthralled with old Cathedrals; their architecture, the people that so passionately pray within their walls and the incredible statues, and stained glass that surround you… this was a special one to visit and capture. If you venture to St. Lucia, be sure to stop in, its a place worth seeing.